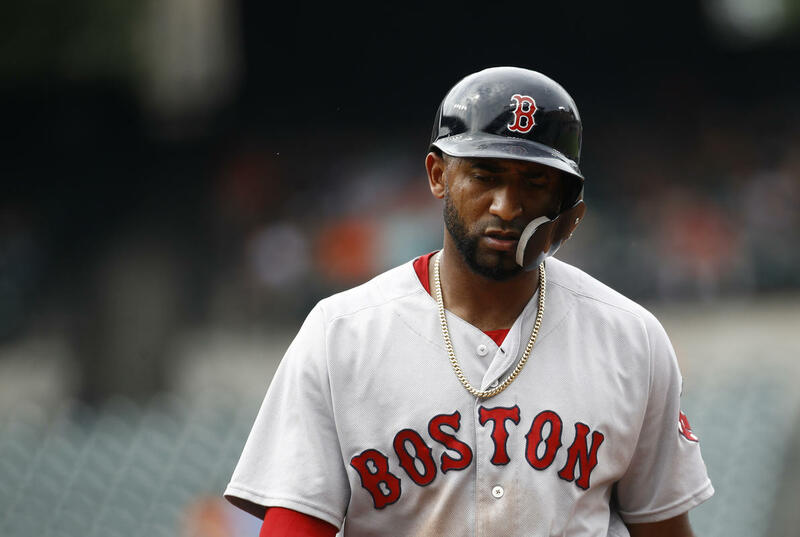 Should the Red Sox Upgrade at Second Base? The Red Sox have made two major moves in July, acquiring Steve Pearce from the Blue Jays and Nathan Eovaldi from the Rays. In doing so, they were able to bolster their rotation as well as add a consistent right handed bat to the middle of their lineup. We are still a couple days away from the trade deadline however, and one place the Sox might still make a move is at second base. Per Baseball-Reference.com’s wins above average measurement, the Red Sox currently have the worst production in the league at second. Eduardo Nunez has struggled all year, hitting .249 with only 6 homers and 26 RBI’s going into Friday night’s game with the Twins. Nunez also doesn’t like to walk, having only taken a base on balls 11 times this year so far. Brock Holt has split some time with Nunez at second, hitting a more respectable .278 in 194 at bats so far this year. However, he has struggled as of late, hitting only .226 in his last 15 games played. The struggle of Holt and Nunez is only part of the decision informing whether the Sox go after help at second. Dustin Pedroia had offseason cartilage restoration surgery in his knee after 2017, and has still not recovered from the surgery. Whether Pedroia returns fully healthy in time for the playoffs could be a factor in this decision, but the likelihood of that can't be easily measured. If the Red Sox decide that a healthy Pedroia isn’t on the horizon and that the Holt/Nunez platoon just won’t cut it, there are a couple of options that they could explore in the next few days. The Red Sox signed former Reds All Star Brandon Phillips in June to a minor league contract, but he has struggled so far with Pawtucket and likely isn’t a better option that Nunez or Holt. If the Sox look to upgrade via the trade route, the most likely candidates will be Brian Dozier of the Twins and Scooter Gennett of the Reds. has however hit 16 homers this year to go along with 51 RBI’s and would add some pop to an already powerful Red Sox lineup. Dozier would also be a huge upgrade defensively, having won a Gold Glove in 2017. Dozier’s down year could mean the Sox would have to give up less for him than they would have done last year. Scooter Gennett is another trade option and would be a huge upgrade offensively. He goes into Friday’s game with a stat line of .317 with 16 home runs and 63 RBI’s. Gennett was an all-star this year and his acquisition could add yet another .300+ hitter to the lineup. He might require a higher return for the Reds however, so the Red Sox might struggle to compete with other teams offering better prospects. Although the Reds are likely sellers at this point in the season, Gennett isn’t even necessarily on the trading block and could instead stay with Cincinnati and sign an extension. The Red Sox could potentially make a deep run this year even without a major upgrade at second, but adding Dozier or Gennett could make this extremely strong team even stronger.